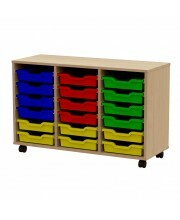 Tray storage unit 122 cm high for 2 columns of trays. 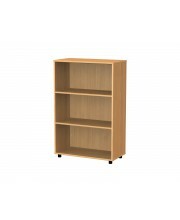 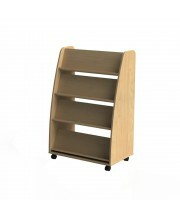 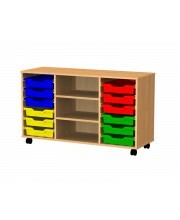 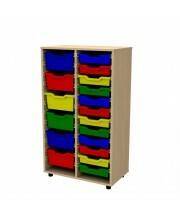 Bookcase 122 cm high with 3 compartments, 2 adjustable shelves. 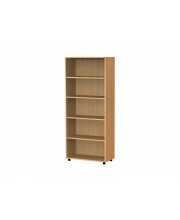 Bookcase 189 cm high with 5 compartments, 4 adjustable shelves. 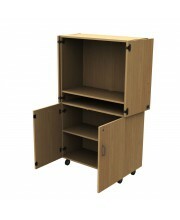 Cupboard 189 cm high with 5 compartments, 4 adjustable shelves. 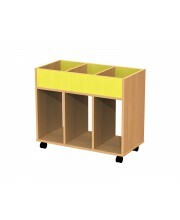 Book trolley 3 lower cubby holes. 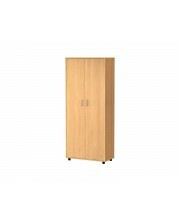 Closed audio-visual cupboard - TV + DVD. 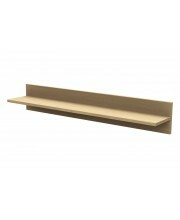 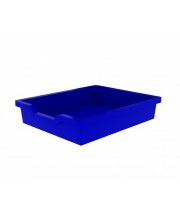 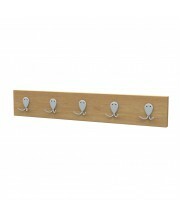 Shallow plastic tray of 75 mm high for tray storage units. 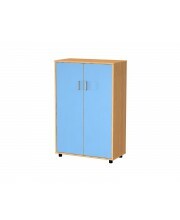 Cupboard 122 cm high with 3 compartments, 2 adjustable shelves.